A new fire has been lit at Standing Rock. The Standing Rock Sioux Tribe (Hunkpapa Oyate) found its voice in mainstream media peacefully protesting the Dakota Access Pipeline (DAPL). On April 1, 2016, the Sacred Stone Camp was established as a spiritual camp to block the DAPL. On November 15, as is tradition, a ceremonial fire was set at the Oceti Sakowin Camp. It represented the “heart of the ancestors” and gave hope that the children of the Seven Bands of Lakota would live. With the lighting of the new fire, the Oceti Sakowin Camp did not relocate. Instead, it now has a new purpose and vision of looking after the people; thus it has been renamed “Oceti Oyate.” It will carry the people into the next era of the fight for clean water and respect for Mother Earth. So, LaToya remains with at least a thousand other protectors who intend to stay until the DAPL is stopped completely. She and the others have winterized their camps and maintain belief that their efforts will make all the difference. LaToya answered the call from the elders for help to protect the water. 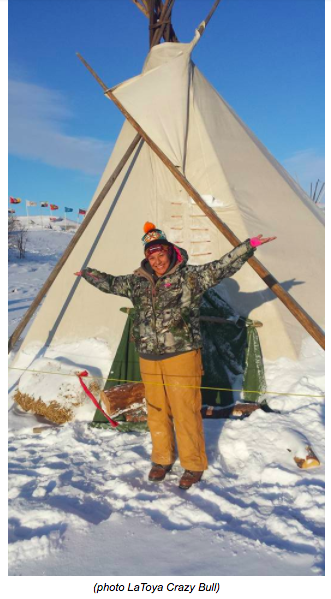 She explains, “When an elder asks something of you, traditionally, you do what you are told.” With that, LaToya traveled from Lower Brule, South Dakota, and joined the peaceful protest in August. 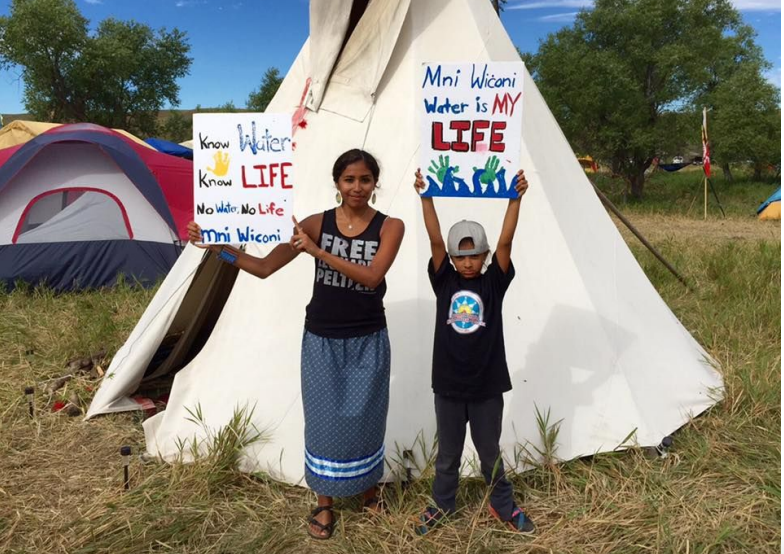 In a sense, the international spotlight is shining on LaToya and her family of water protectors. #NoDAPL has earned the attention of celebrities, dignitaries, and religious leaders. 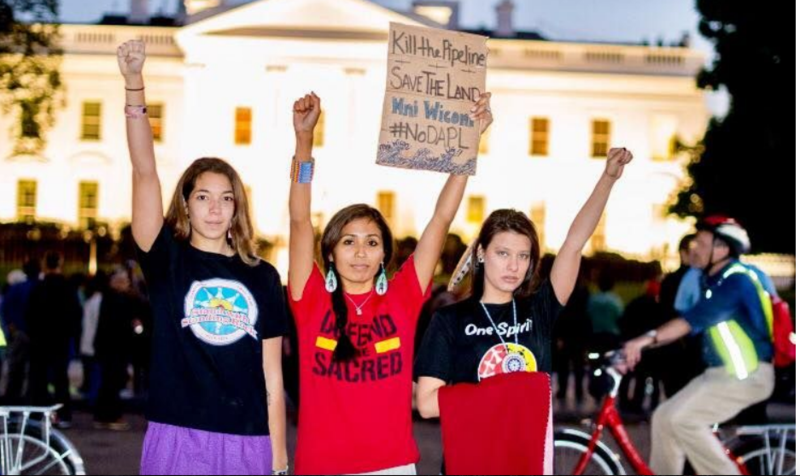 Their peaceful cry: “Mni Wiconi” has been seen on posters, flags, t-shirts, banners, and newscasts in protests around the United States and beyond. All protectors are representing their Native American culture and their sacred lands. 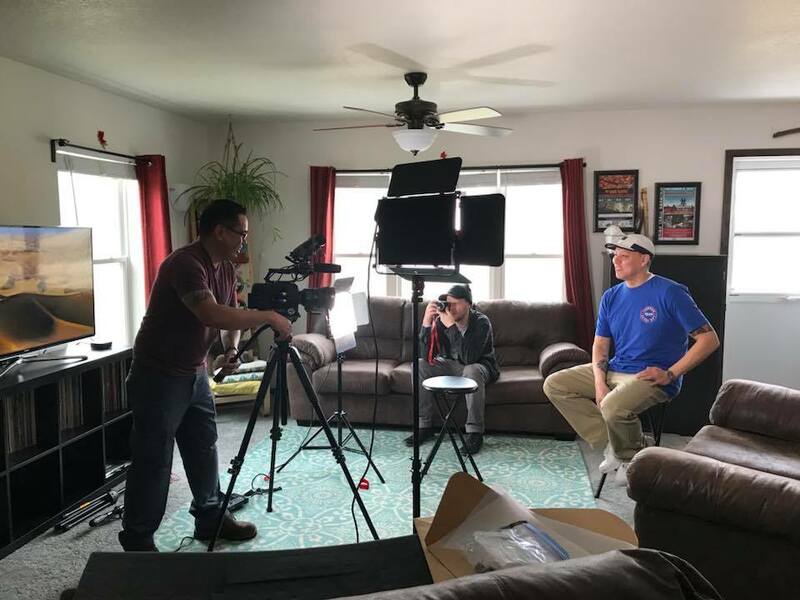 The effort to protect the waters of the Missouri River has awakened Indian country and brought forth young leaders who are united in a common cause. 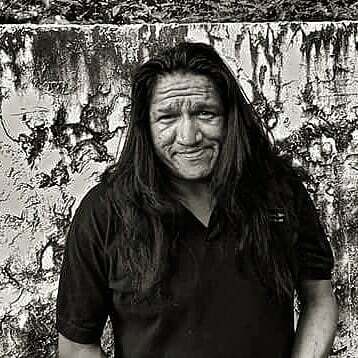 Like LaToya, many of them are standing on the front lines, but others like Jordan Daniel, a member of Kul Wicasa Oyate, are leading the charge in other ways. 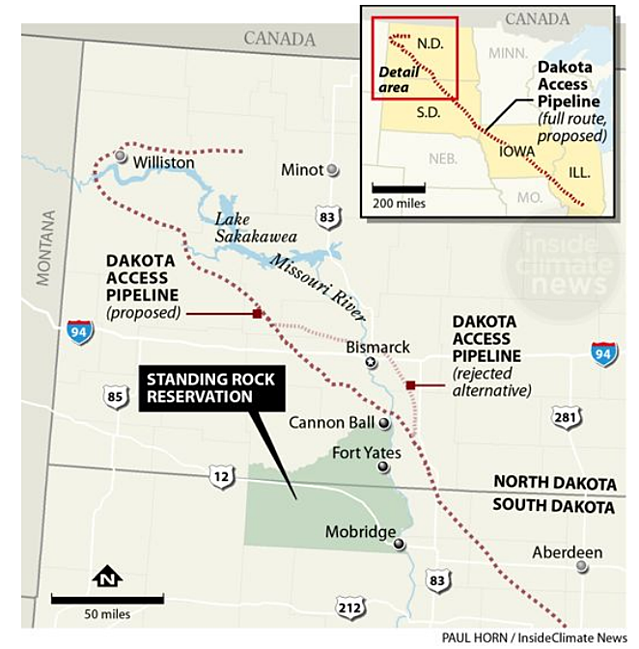 According to one of the main developers, Energy Transfer Systems (ETS), “The Dakota Access Pipeline Project is a 1,172-mile pipeline that will connect the Bakken and Three Forks production areas in North Dakota to Patoka, Illinois. It will transport approximately 470,000 barrels or more per day.” Currently, this crude oil is transported by rail. Traversing the states of North Dakota, South Dakota, Iowa, and Illinois, the pipeline would span the Missouri River, a chief water supply for the tribe and thousands of others downstream. 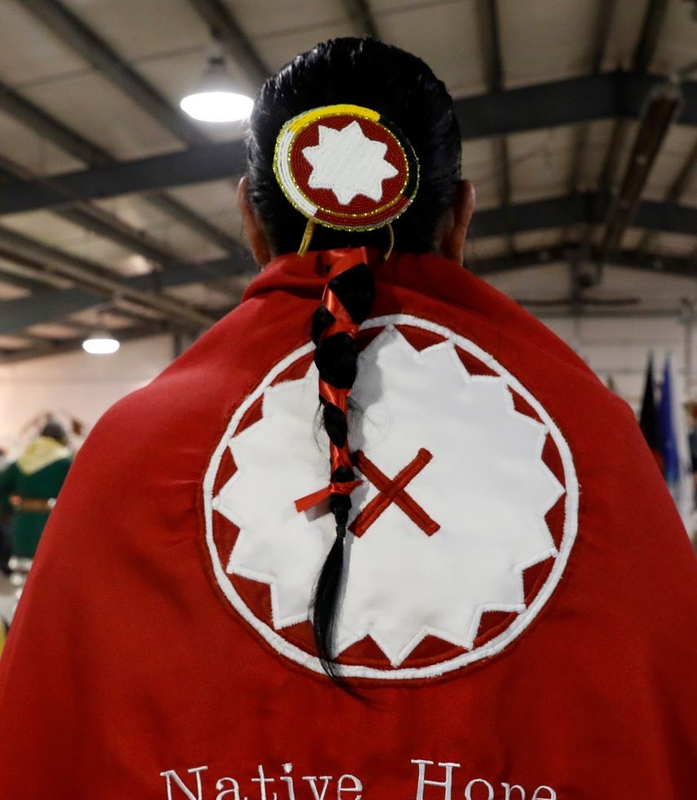 The pipeline would also cross over the historic Cannonball Ranch, which houses “known and unknown” burial grounds for the Standing Rock Sioux Tribe (Hunkpapa Oyate, Chief Sitting Bull’s Oyate). The ranch’s land, at the center of the controversy, has now been sold to Dakota Access, LLC, which further complicates the issue at hand because this could lead to the desecration of sacred burial grounds. 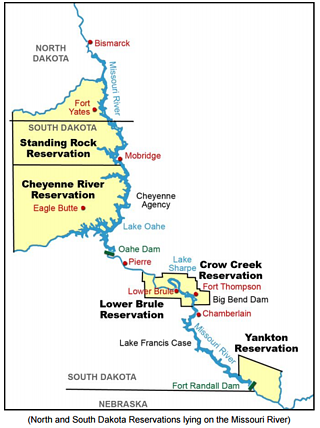 Faith Spotted Eagle, a grandmother and water protector from the Yankton Oyate, explains that the land in question is a “multi-component site,” meaning there are layers and layers of events that have happened on the land. How does water fall into play? It is this reasoning that in part prompted the Standing Rock Sioux Tribe to file a federal lawsuit against the U.S. Army Corps of Engineers in July. The lawsuit claims that the DAPL violates the National Historic Preservation Act and the Clean Water Act, among other laws. The pipeline was set to cross Lake Oahe, a large reservoir behind Oahe Dam on the Missouri River, just a half mile above the Standing Rock Reservation. “Oahe” is Lakota for “foundation,” and those protecting the waters believe that the Missouri River is just that—the foundation of life and their culture. Many share Reuben’s sentiment, and this assertion has resonated with Indigenous tribes and supporters from across the world. 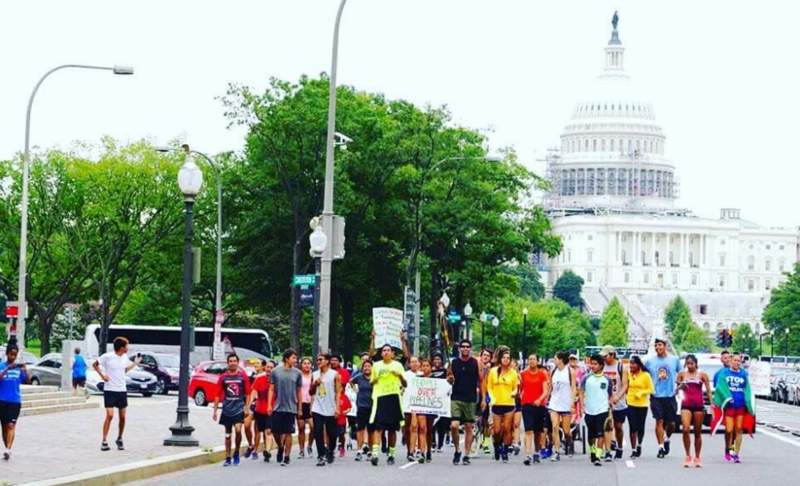 Over the past several months, the protest has grown into a camp of thousands. What effect has this had on the next generation? The camp might seem like an impossibility to many—unsafe in this day and age. But, for the Lakota, the camp represents something they lost just over a century ago: a way of life. Their ancestors lived off of the land and remained a vital people without modern luxuries. It was called the “Lakota Way”—a way of honoring Mother Earth, her inhabitants, her land, and her water. Many would say that the NoDAPL is not a protest but rather a movement. It is a movement to stop what they see as the destruction of Mother Earth. It is a spiritual battle—one they are fighting with prayer. Jordan adds, “I definitely think this generation right now...they’re going to be a huge catalyst in things changing. They’re having a stronger voice and sticking up for themselves, but also bringing people together as well.” She believes that a strong collective voice will make a difference within our communities and empower future generations. On December 4, 2016, the Department of the Army’s website declared that they “will not approve an easement that would allow the proposed Dakota Access Pipeline to cross under Lake Oahe in North Dakota.” They declared that this decision was based on a need to explore alternate routes for the Dakota Access Pipeline. 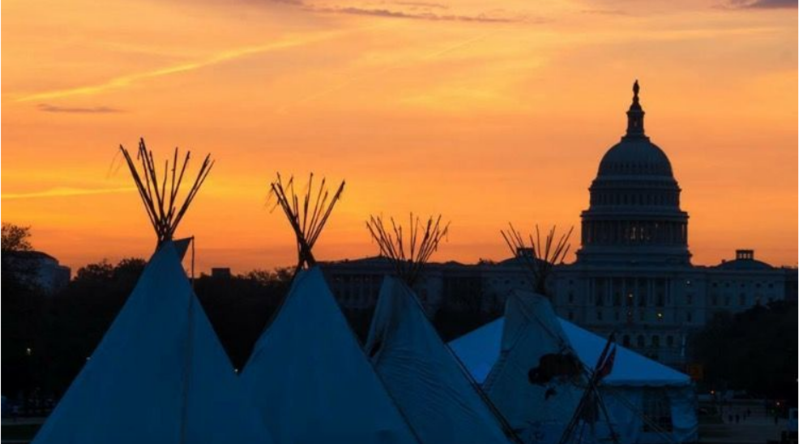 The Army’s Assistant Secretary for Civil Works, Jo-Ellen Darcy, stated, "Although we have had continuing discussion and exchanges of new information with the Standing Rock Sioux and Dakota Access, it's clear that there's more work to do. The best way to complete that work responsibly and expeditiously is to explore alternate routes for the pipeline crossing." Meanwhile, LaToya and Jordan know this is a small victory in a much larger war. It seems that until the alternate route is announced, the international spotlight will remain on the water protectors of Standing Rock who stand united in their efforts.